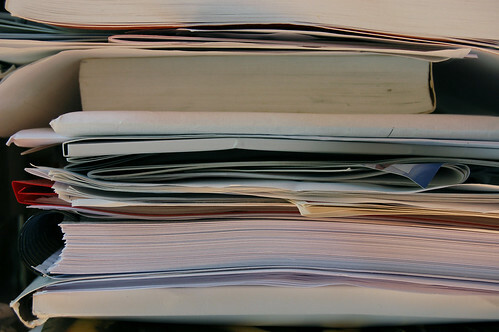 Lordy, I’m 15 books behind and have 5 days until New Year’s, at which point I intend to be done with the book reviews for 2011. So we’re going to be booking (mmmhmm, hardee har) through some book reviews for the next few days. Kostova’s sprawling debut relates three subsequent investigations into the legend and reality of Vlad Tepes through the work of three historians. When I reread a book I’ve read a few times, I try to focus on one aspect that perhaps I’ve ignored in the past. This time through, I was impressed by the clarity with which Kostova recounts the three investigations. Telling events that occur in relation to each other–this happened before that, that caused this–can be difficult as an author–after a while, a story can start seeming like a bulleted list. But Kostova clearly and (relatively) concisely tells her story without confusing the reader. 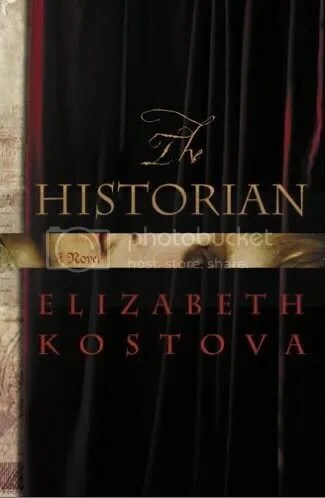 Each journey, each historian, each story is distinct, but Kostova weaves the stories together, furthering the plot incrementally with each angle of the story. As to that plot, it holds up to successive reading (I think this was my fourth reading and I enjoyed it almost as much as the first time.) Kostova weaves the love of academia—dusty libraries, the thrill of the intellectual chase—with the heart-pounding shock when that librarian suddenly seems somewhat other. I love her evocation of Cold War Europe and the twisting together of the modern and ancient history into a story that is somewhat familiar, but completely different. Why now: We watched Dracula (the movie, with Keanu and Wynona) around Halloween and I absolutely had to follow that up with a reread of this. Also, I was (am) completely immersed in academia (grad school stuff and final papers of the semester) so reading anything too far from that world just seemed wrong. My sister lent me this book nearly two years ago, but I didn’t get around to it until late November. The author, Kathleen Kent, is a descendent of one of the victims of the Salem witch trials—her novel tells the story of her ancestor’s trial, condemnation and death through the eyes of her young daughter. Martha Carrier’s accusation of witchcraft by her brother-in-law is the culmination of a long family squabble over an inheritance. After the realization that the Carrier family’s recent arrival coincided with an outbreak of smallpox, the Carrier family is considerably less than popular in Andover. As the turmoil in the neighboring Salem escalates and spreads–catching the Carrier family in its wake– young Sarah Carrier is left to try to fill Martha’s place. Sarah starts piecing together the truth of her parent’s history, discovering why the family has moved so frequently and why her father receives such honor from other immigrants from the old world—information with its roots in the bloody end of the English Civil War. Why now: The idea of Thanksgiving kind of turns my stomach. Don’t get me wrong, I’m totally on board with appreciating what you have. I think we should do that every day, not just at the end of November. I think the small things in life are what gives life meaning and your relationships are thousands of times more important than your tech-y gadgets. Obviously. So you’d think I’d love a holiday that’s kind of officially dedicated to appreciating those things. I’m heartily in favor of all those the lovely intangibles. It’s just the idea of thanking some amorphous and all-powerful deity for said intangibles that trips me up. So I chose this book for its focus on the way early days of our nation (totally Thanksgiving-y) and to celebrate the recognition of the deep and abiding problems of organized religion.